Today we checked out of Sandals Whitehouse as we are headings to Beaches Negril today for two nights. Before we left, we had training all morning and then lunch and resort tour. We left around 3:30pm. The drive to Beaches Negril was about an hour. The roads are much better driving there than to Whitehouse! Once we got to the resort we were greeted with a cold cloth and taken to the concierge room, where we were greeted by Elmo, checked in and received a welcome cocktail. Next we were taken to our rooms. I’m on the second floor this time in a resort/partial ocean view concierge suite. 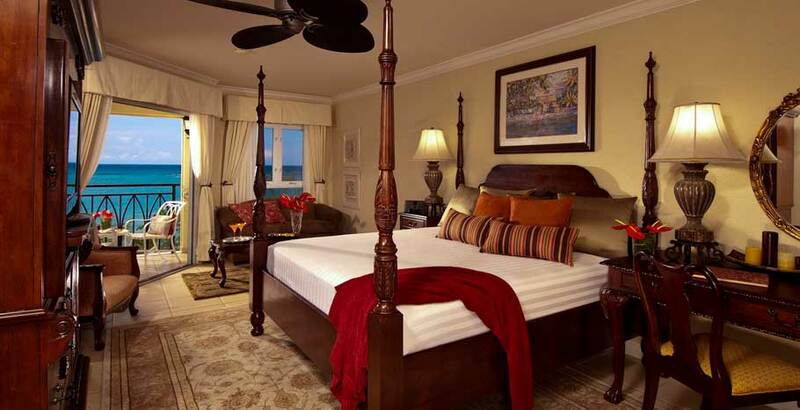 This room is just as nice as Sandals Whitehouse. It is very spacious and clean. The balcony here is actually larger than the one at Whitehouse. Tonight we went to the Sesame Street performance. It was really cool! Beaches does a great job catering to family’s and small children. There are also things for the older kids to do as well. We then ate at the seafood restaurant call Stewfish. It is really good and right by the beach next to the water. 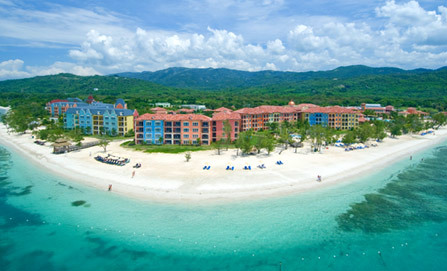 Tomorrow we are doing a resorts tour including Beaches Sandy Bay, Grande Pineapple and Sandals Negril. It should be a pretty busy day! PS. If you are looking for a quieter resort, this would not be the best one. It is interactive and there are a lot of kids. Hey Everyone! I am currently in Jamaica at Sandals Whitehouse! We took a WestJest nonstop charter from Winnipeg and arrived at Sangster International Airport in Montego Bay, Jamaica at about 12:30pm, going through customs went well, the lines were long but they were moving. Once we were through customs, we made our way over to the Sandals lounge to get a drink and freshen up. The drive to Whitehouse was long, almost two hours on bumpy roads. Nevertheless, we made it here in one piece and all is well. We got off the bus and were handed a cocktail and cold cloth and were taken to the concierge lounge where we checked in. There are three sections to this resort: the French village that is farthest from the main dining areas and lobby; the Dutch village- in the middle a good location but still a bit of a walk; and the Italian village that is closest to the main areas like the pool, bars and restaurants. I have a room in the Italian village. It is a top floor honeymoon beachfront penthouse concierge suite. It is beautiful, a great location and a beautiful view. All the rooms at this resort are ocean view. Honeymoon Beachfront Penthouse Concierge Suite - My room! Tonight we have welcome cocktails and a welcome dinner. It should be a lot of fun! PS. the people here are amazing! Everyone is very friendly and helpful. Also, do not expect your cell phone to work! There is no service here and the wifi is not the best because of how isolated you are at this resort. If you are truly looking to get away from it all, this is the place for you!